CCNBB Awards $124,000 in Grants – The Community Chest of New Britain and Berlin identifies and invests resources in programs that benefit the New Britain and Berlin communities. (June 28, 2016) The Community Chest of New Britain and Berlin has awarded more than $124,000 in mid-year grants to a variety of non-profit programs serving New Britain and Berlin. Boys and Girls Club. A $17,700 grant to launch the Peer-to-Peer: Game Room Socialization initiative. Connecticut Mental Health Affiliates (CMHA). A $5,500 grant to support staff training in the Marschak Interaction Method in CMHA’s New Britain Child and Family Services division. Friendship Service Center. 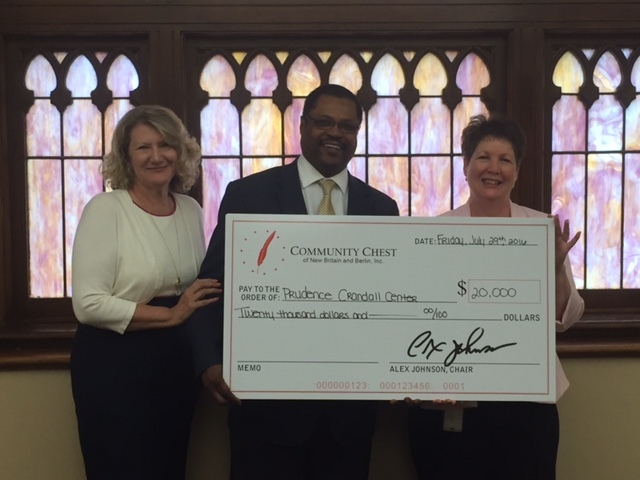 A $20,000 grant for the Emergency Shelter and Community Kitchen. Greater New Britain Teen Pregnancy Prevention. A $10,000 grant for general operating support to maintain and enhance the long-term, comprehensive, results-cased teen pregnancy prevention program. Arts for Learning. A $10,000 grant to provide afternoon experiential arts integration programming for the Summer Enrichment Experience program in New Britain. ROOTS. A $10,000 grant for the New Britain Mobile Farmers’ Market to serve residents with low access to healthy food. Trinity-On-Main. A $7,500 grant to replace unsafe theater carpeting. Veterans, Inc. A $13,412 grant for a new Resident Advisor position. Since 1919, the Community Chest of New Britain and Berlin has played a vital role in meeting local health and human service needs. A local and independent Board of Directors identifies and invests resources twice yearly in programs and initiatives benefiting the New Britain and Berlin communities.